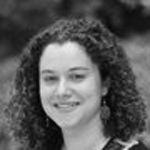 Sarah Meyer, PhD, MPhil, is an assistant professor in clinical population and family health at the Mailman School of Public Health at Columbia University. She has extensive experience managing and leading research projects focused on migration, child protection and mental health in humanitarian and low-income settings. Her PhD research focused on migration and mental health on the Thailand-Burma border, and she has led qualitative and quantitative training and data collection in Cambodia, Rwanda, Uganda and Thailand. She is currently the co-investigator on a joint study between the CPC Learning Network and UNHCR, on measuring child protection in refugee settings. She has led evaluations of mental health and psychosocial support for UNHCR and the Interagency Standing Committee Reference Group on mental health and psychosocial support. She has presented her research in academic and policy settings in Geneva, Kolkata, Lisbon, Salzburg, Oxford and Melbourne. Sarah received a PhD in International Health from Johns Hopkins School of Public Health, a certificate in Applied Mental Health Research from Johns Hopkins, an MPhil in Development Studies from the University of Oxford and a BA from Monash University.